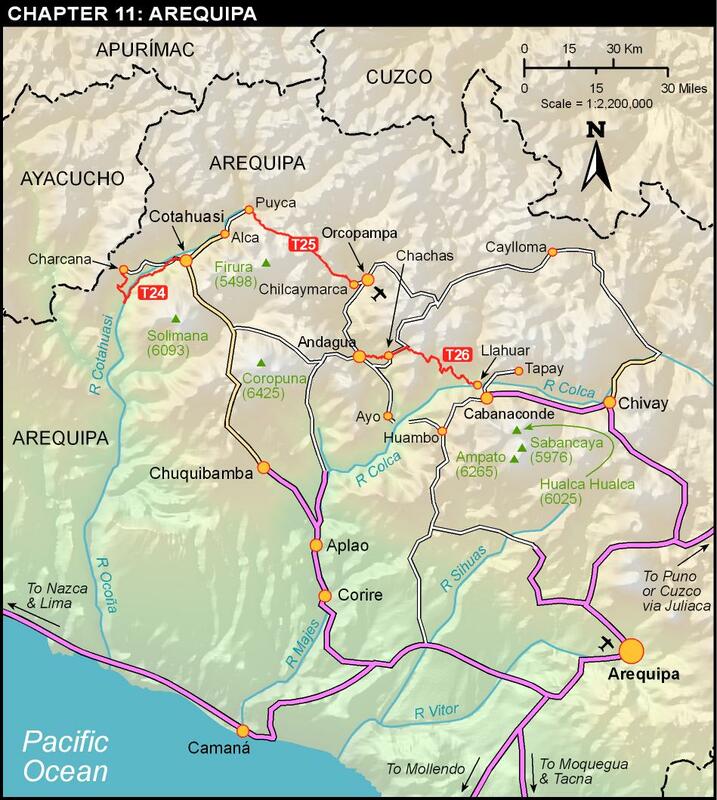 Situated in the southwest of Peru, the department of Arequipa could well be a separate country. 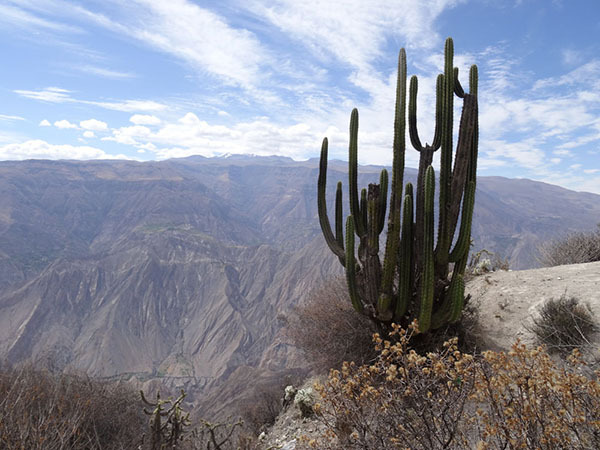 Unlike Ancash or Cuzco with their long cordilleras and gentle green valleys, Arequipa’s geography is dominated by massive volcanoes up to 6425 m above sea level. Several of these volcanoes are active (the Instituto Geofísico del Perú website posts current activity levels; see Appendix A), and they tower above the world’s deepest canyons. The people of Arequipa are also distinct, generally of more European stock than elsewhere in the Peruvian highlands and intensely proud of their regional identity. 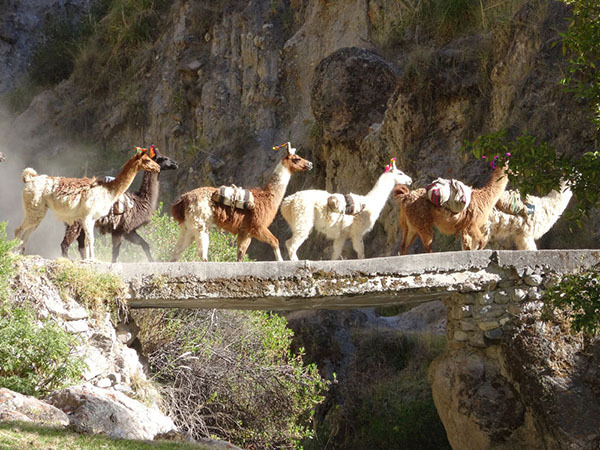 Even in remote areas here, villagers may speak more Spanish than Quechua. 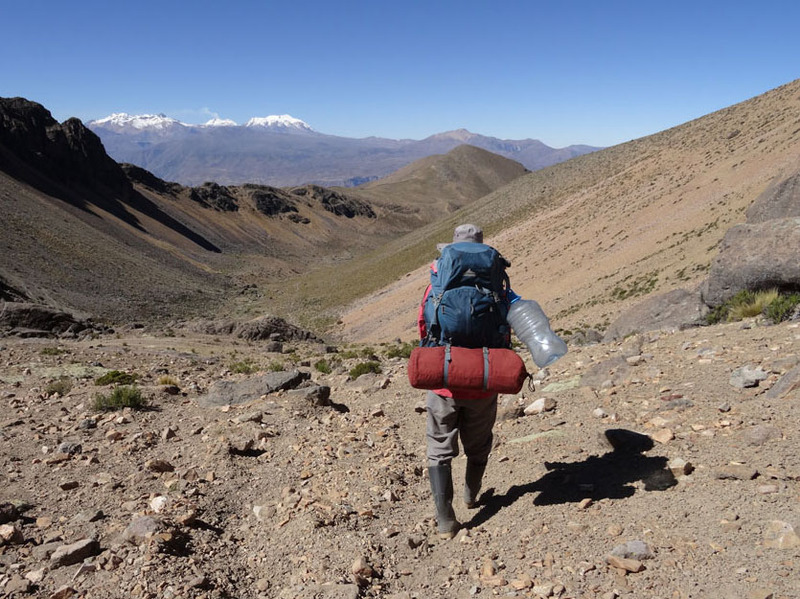 THIS TREK IS IDEAL for those who enjoy wide open country, crossing the high plateau that separates the Cotahuasi canyon from the Orcopampa valley, also known as the Valley of the Volcanoes. The unobstructed vantage points and clear air provide endless and unsurpassed views of many giant glaciated peaks. Coropuna (6425 m, the highest volcano in Peru and its third-highest mountain) and Firura (5498 m) are but two of your constant companions. Toward the end of the trek, the Valley of the Volcanoes offers an entirely different landscape: eighty-five relatively small volcanic cones, only a few hundred meters from their base, poking up through the broad, flat valley floor below. WHILE TREKKING THIS ROUTE the dominant words in your vocabulary become “up” and “down,” for you are always walking and looking, even dreaming, in one of these two directions. The steep gradients are partly mitigated by good trails, but there is enough cross-country travel to test both your physical endurance and navigation skills. On more than one occasion we wished we had the wings of the condors circling overhead, to take in the boundless beauty by gliding through it. Yet the hard work required to complete this trek is amply rewarded by a wealth of unforgettable experiences.